March 6, 2018 - Oregon-based Roseburg Forest Products recently reached an agreement in principle with Pembroke MDF, Inc. to purchase Pembroke’s medium density fiberboard (MDF) and molding production facilities located in northeastern Ontario, Canada. Upon final due diligence and board of director approval, the parties expect the sale to close by April 9, 2018. The acquisition will be Roseburg’s first international purchase and will continue the company’s expansion throughout North America. Roseburg is currently building an engineered wood products plant in Chester, S.C., and recently acquired 158,000 acres of timberland in Virginia and North Carolina. Roseburg currently owns and operates an MDF plant in Medford, Ore., which produces the company’s Arreis, Medite, Medex, Permacore and Fibrlite product lines. “The addition of the Pembroke MDF plant means Roseburg customers will have access to a broader portfolio of products from a company with a demonstrated, long-term commitment to the industry,” said Jim Buffington, Roseburg’s business director for industrial products. Founded in 1936, Roseburg Forest Products is a privately owned company and one of North America’s leading producers of particleboard, medium density fiberboard and thermally fused laminates. Roseburg also manufactures softwood and hardwood plywood, lumber, LVL and I-joists. The company owns and sustainably manages more than 600,000 acres of timberland in Oregon, North Carolina and Virginia, as well as an export wood chip terminal facility in Coos Bay, Ore. Roseburg products are shipped throughout North America and the Pacific Rim. 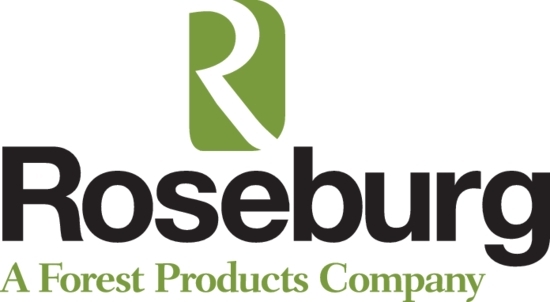 To learn more about the company please visit www.Roseburg.com.